More on Research and Development (R&D) will be the thrust of incoming Department of Science and Technology Secretary Fortunato Dela Pena. This is unlike the strategy taken by outgoing Secretary Mario Montejo who focused on entrepreneurial applications of science and technology as well as ambitious initiatives such as Diwata 1 micro-satellite and the breakthrough weather forcasting Project NOAH. “My top priorities will be on R&D to address pressing concerns on health, agriculture and the process industries,” Dela Pena, a former undersecretary for S&T services of the DOST, disclosed. Programs that will focus on the development of the regions and policies sustainable growth will be the priorities of the DOST. 3. Increase in the utilization of facilities, research outputs and human resource expertise that will push for growth and development. R&D will benefit from investors in technology-intensive businesses. “There will be many investors in this area if the economic climate is good, if the industry-academe-government linkages are strong and effective, and if we have enough human resources in advanced S&T areas who can be tapped by the industry,” Dela Pena said. Greater access to programs in scxience and technology will further enhance human resource development. “There are many universities in the regions, especially the state universities and colleges (SUCs), which can be delivering institutions for S&T scholarship degree programs,” Dela Pena cited. STEM program, formerly called the Engineering and Science Education Program (ESEP), was piloted by the DOST in 1994. It is a science and mathematics-oriented curriculum being offered in specialized high schools and supervised by the Department of Education. President-elect Duterte’s priority programs can be significantly helped by science and technology as per Dela Pena. “He has repeatedly stated his emphasis on health, agriculture and food, education, and hastening the development in the regions,” Dela Pena said, adding that Duterte wants ordinary citizens to feel the services of the government. ”The DOST programs and projects will support his priorities,” he said. Montejo earlier lauded Duterte for picking an insider as the next head of DOST. “I am happy that he’s from the ranks because there will be continuity. As a nation, we should develop technology self-reliance and it can be easily achieved if someone from the ranks will lead,” Montejo said. The outgoing DOST chief reiterated the need to sustain existing efforts such as the Small Enterprise Technology Upgrading Program (SET-UP), launched during the Arroyo administration and expanded by the Aquino government. “We have many programs that should not be stopped. 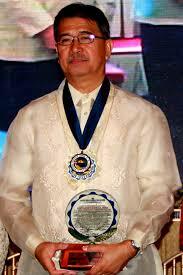 These are multi-billion peso programs, which are bearing fruits,” he added. Aside from being a former DOST undersecretary, De La Pena also headed the National Research Council of the Philippines (NRCP) as its president from 2002 to 2007.